Less than a year ago, we bought a new sofa for the family room, and I wrote about it in this blog. 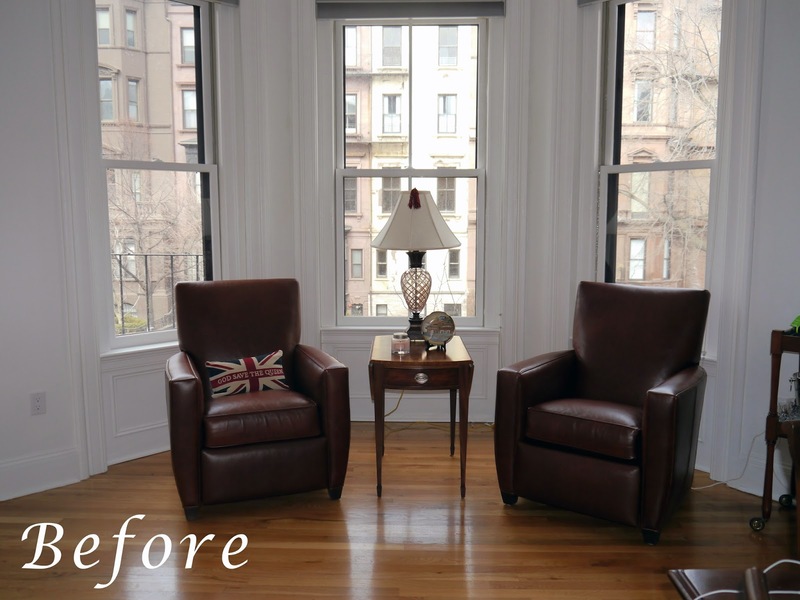 I liked its look and thought it worked well in that room’s space. 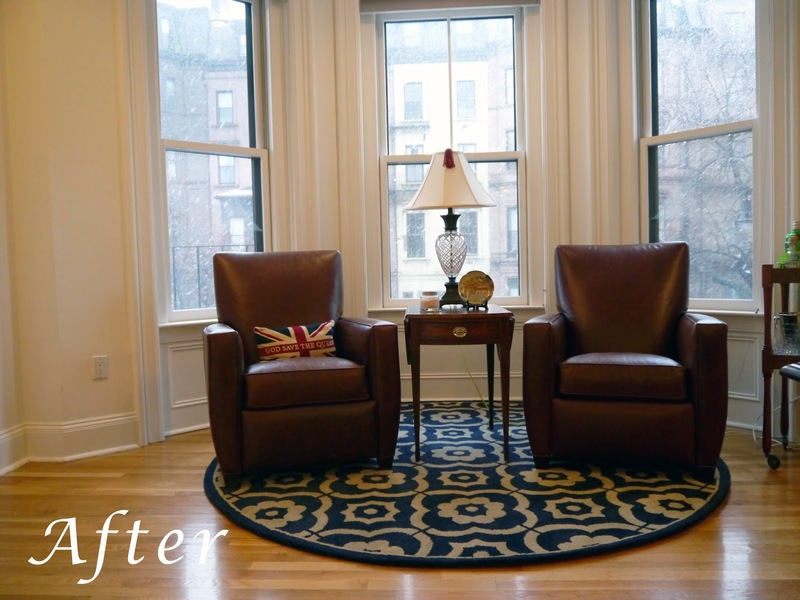 After we moved to Boston, we needed a sleeper sofa to accommodate more than 2 guests. Though I was a bit hesitant to replace something purchased so recently, we bought this sectional sleeper sofa and coffee table. It’s a decision I don’t regret-in fact, I’m very happy we replaced the sofa. Now we can sleep more than two guests, and the new sofa provides more seating and fills this space better than the old one. In addition, the old sofa went to a good home rather than a landfill. It was a win-win situation! While I like the faded, ripped jeans trend and realize it’s a very current look, I also realize I’m past that trend’s expiration date. 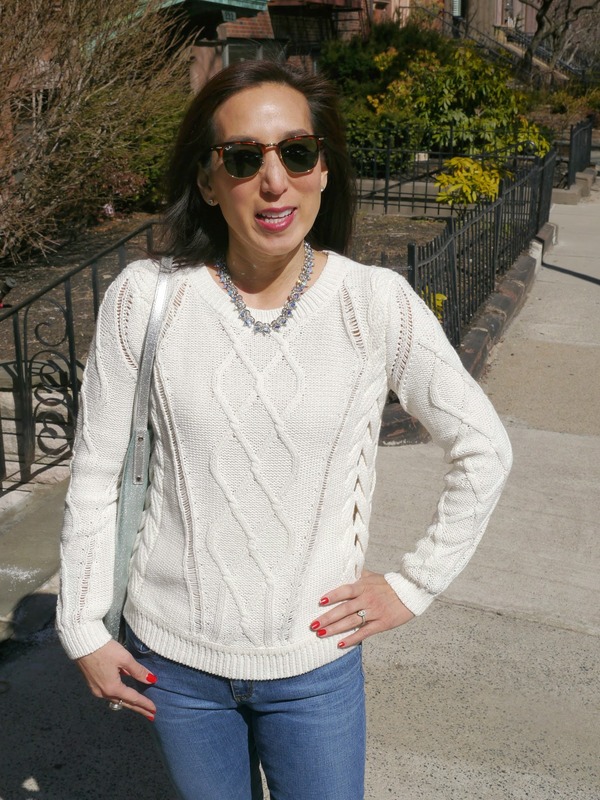 These washed-out jeans are a great alternative and something I can pull off. Paired with a cotton fisherman’s sweater (referred to in this post) and sparkly bow shoes, it’s my age-appropriate take on this trend. 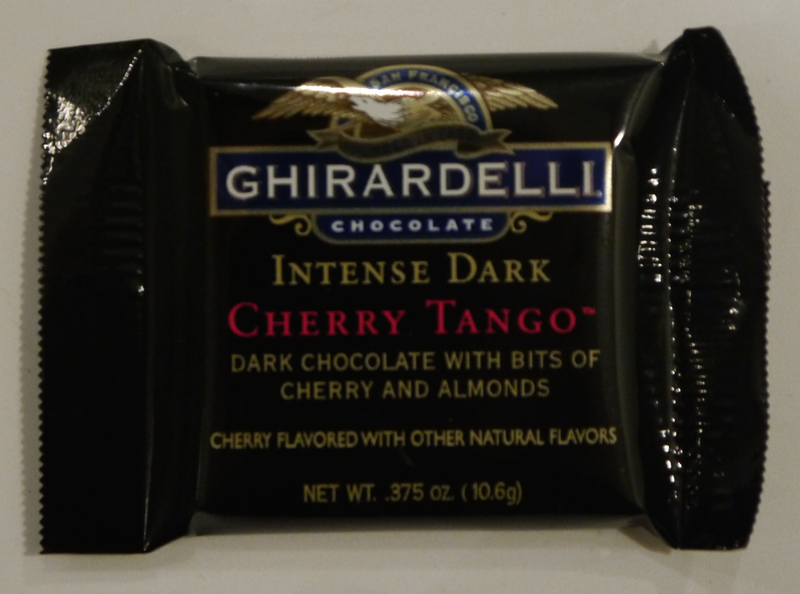 The Birchbox samples (previously mentioned in this post) I received last week included a Ghirardelli Intense Dark Cherry Tango™ chocolate square. I thought I’d give it a try, but wasn’t expecting anything good, much less great. Boy, was I wrong! These squares of dark chocolate with cherry and almond bits are to die for! I was so excited that I immediately got online and ordered a few packages-after all, who wants to spend time searching for them in various stores? Movie Reviews: "Divergent" and "The Grand Budapest Hotel"
In futuristic Chicago, Tris, a 16 year old young woman, must choose the faction in which she will spend the rest of her life. She must also hide the fact that she's divergent, which means she doesn't belong in only one faction, but has multiple aptitudes. Why are other groups hunting divergents and will they be completely successful? A previous post contained a book review for Veronica Roth's Divergent, which I Ioved and gave 4 stars. 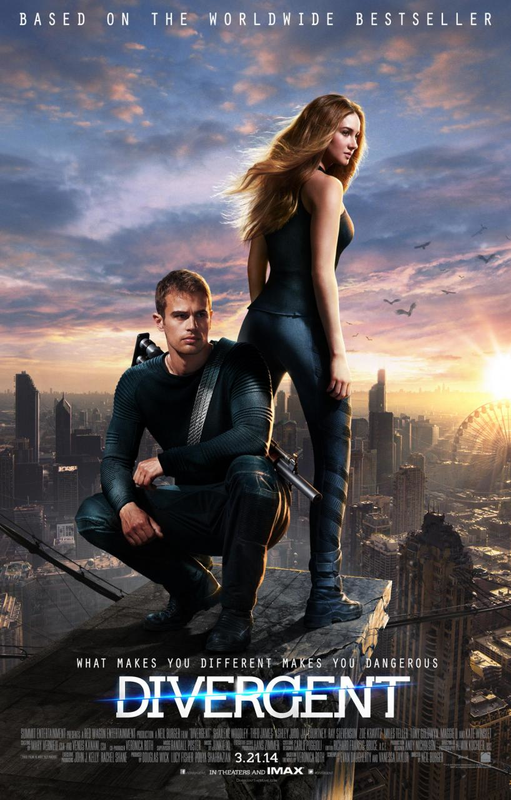 Divergent, the movie, isn't quite as strong as the book, but is still a solid movie and worth seeing. Funny and touching, yet odd, The Grand Budapest Hotel is a cinematic experience. The film chronicles the adventures of Gustav H., the concierge of the namesake luxury hotel and his trusted protege, hotel lobby boy Zero. Set between the first and second world wars, the movie involves a suspicious death, art theft, and heirs battling for control of an estate. 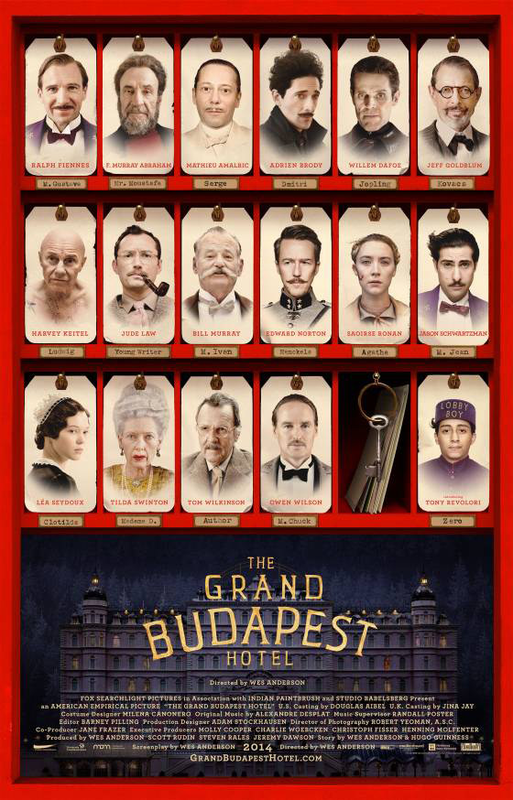 I loved The Grand Budapest Hotel and would love to get into the mind of Wes Anderson, the film's writer and director. Like his last movie, Moonrise Kingdom, both films have all-star casts, caricature-like characters and a child-like naiveté. They also gently show the less savory sides of human nature. 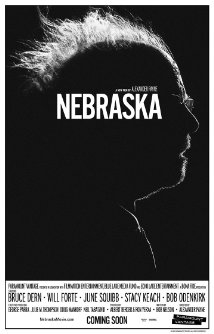 This film is a must-see! Now that Kevin is back working in an office, he’s starting to dress up again. 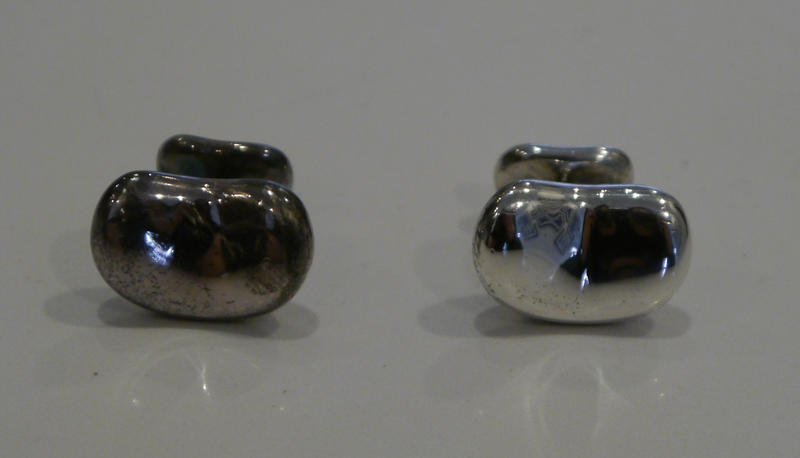 When he tried to wear his silver cuff links, they were tarnished because they hadn’t been worn them in such a long time. These Hagerty Silversmiths’ gloves (terrycloth gloves coated with silver polish) cleaned them right up. I like them so much that I even cleaned a silver frame I’ve been meaning to polish for months. What a treasure (or at least a treasure polisher)! are too long and the torso is too big in both of these photos? Like most people, immediately after I buy a new item, I want to wear it as soon as possible. I’ve learned to curb those urges and first take things to the tailor to be altered and fitted to my body. 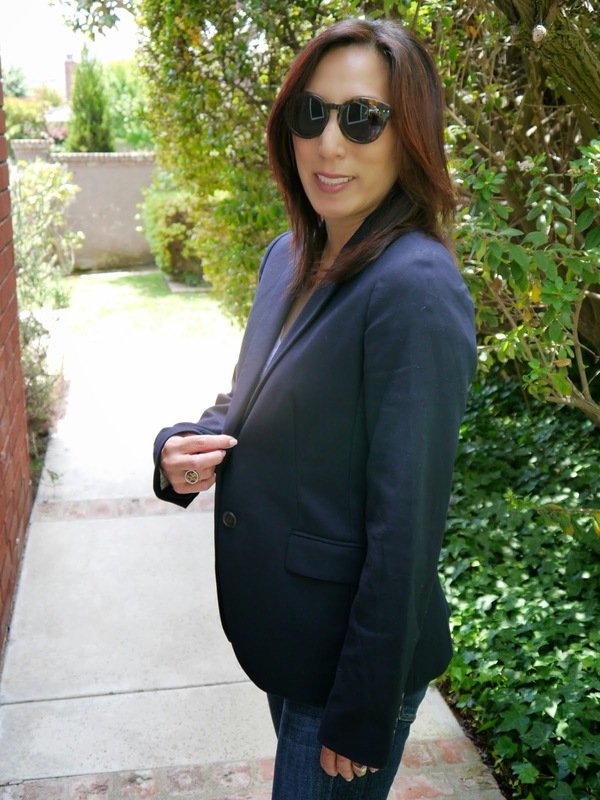 Tailoring is the difference between being well dressed and looking just a little off. Buy pieces to fit the largest part of you body-it’s easier to have pieces taken in than let out. In this case, I bought the right size for my shoulders, but the sleeves were too long and the torso too big. Wear the shoes you plan to wear with the pieces being altered. Always have the tailor pin the hem for each pant leg separately, rather than hemming each leg the same length. Many people have different lengths for each leg. 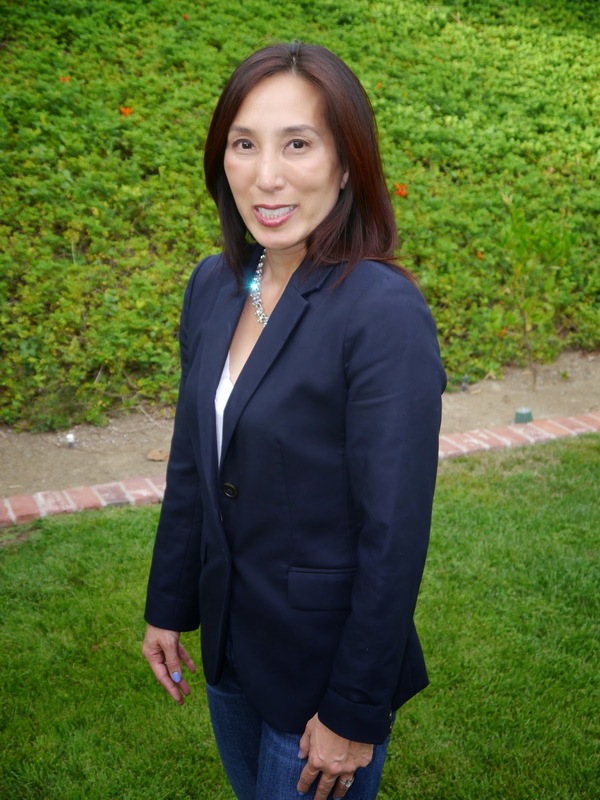 While she was a college student, author and blogger Jennifer L. Scott studied abroad in Paris and lived with an aristocratic French family. Treated like a family member during those six months, Ms. Scott observed the family's and culture's customs. 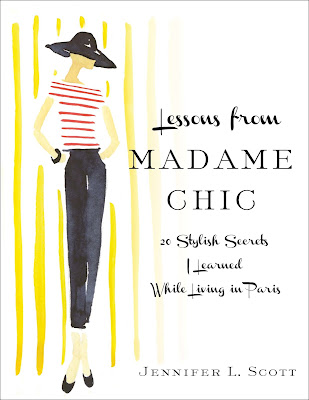 Lessons from Madame Chic is a collection of 20 "stylish secrets" she learned during that time. The idea from this book that sticks in most people's minds is the 10 item wardrobe concept. Ms. Scott proposes having around 10 high quality pieces (not counting finishing pieces like jackets, basics like tee shirts and special occasion clothes) that mix and match, wearing those pieces for a season and then swapping the pieces with others one owns as the weather dictates. 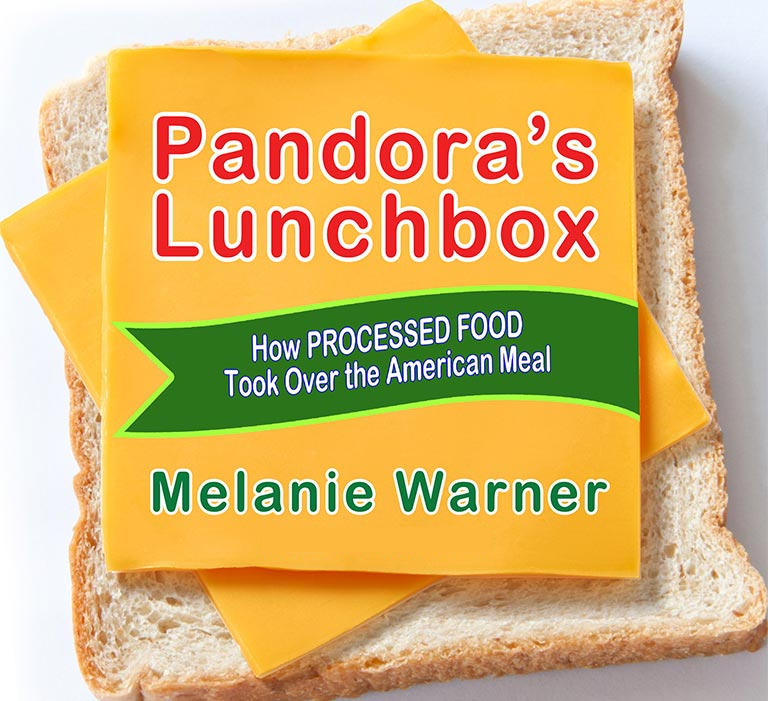 While I like this concept, I mainly took away two different lessons from this book. The first idea that struck home with me was: Look Presentable Always. A few days after finishing Lessons from Madame Chic, there was a day when I hadn't made much progress getting my jobs done. At noon I still hadn't taken a shower and thought about running my errands in exercise clothes, sans make-up, but luckily remembered Ms. Scott's words about always looking presentable. So I went upstairs, took a shower, got dressed and applied make-up. After all, you never know who you might see on any given day. That day presented another opportunity to apply her lessons to my daily life. When I got dressed, I put on my old cotton fisherman's sweater, even though I bought a beautiful replacement sweater a few days earlier. When I looked in the mirror, I saw myself in a tired, just-okay-looking piece. Suddenly, I remembered another lesson. Always use your best, whether it's eating off your china, using your favorite perfume or wearing your new sweater. Don't save things "for good". I felt so much better after I changed into my new sweater and put the old one into the donation bag! If you're looking for some ideas to add a touch of old world elegance into you daily life, Lessons from Madame Chic is the right book for you!